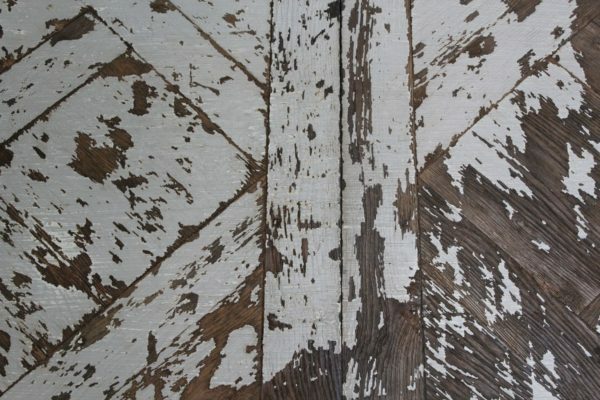 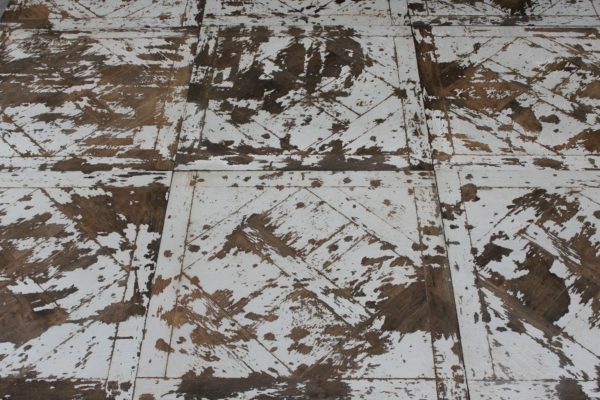 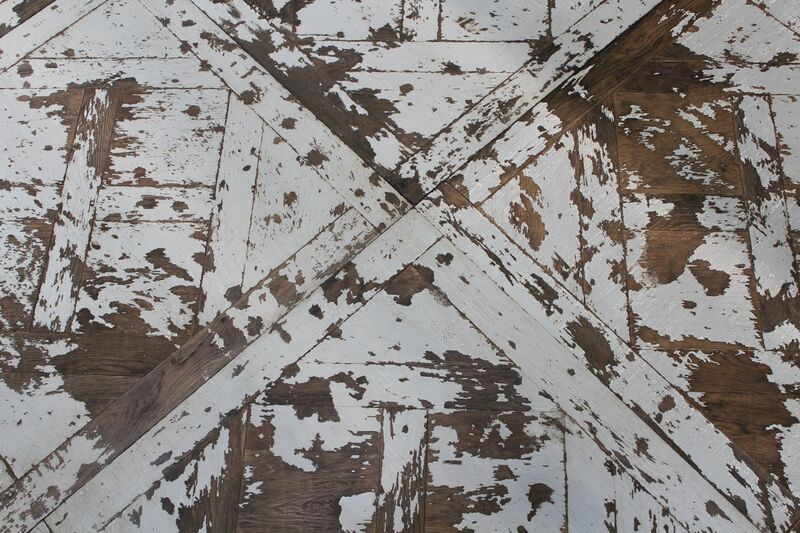 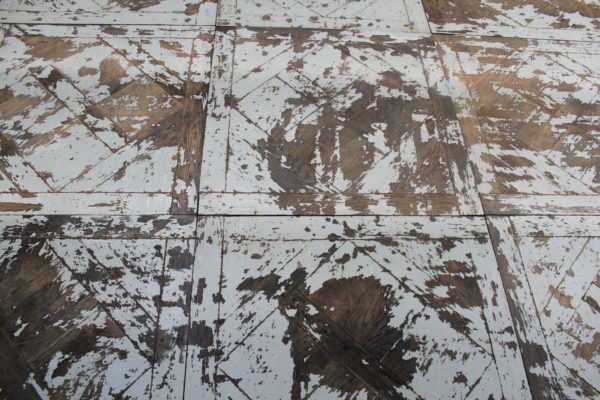 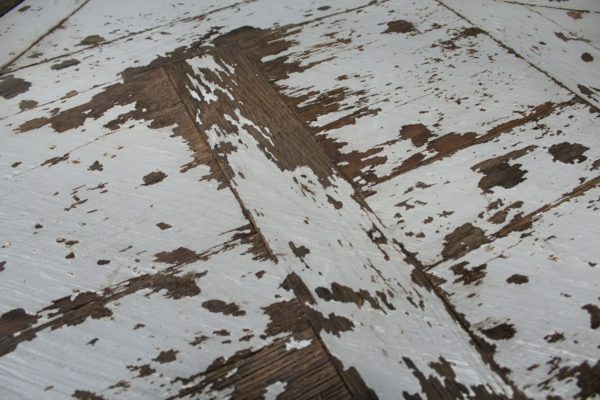 Oak panel flooring with distressed paint finish (“vintage” paint range). 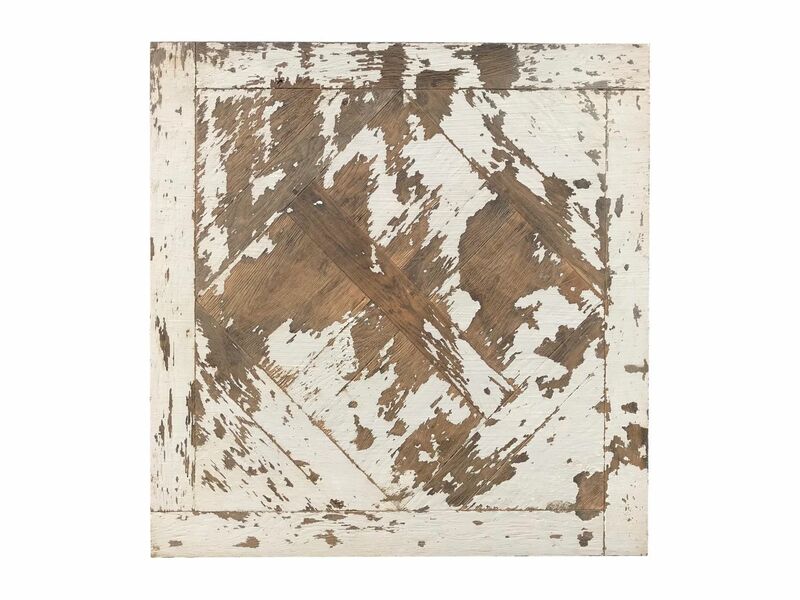 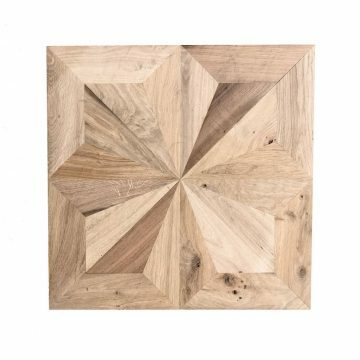 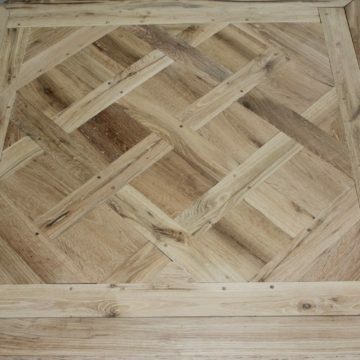 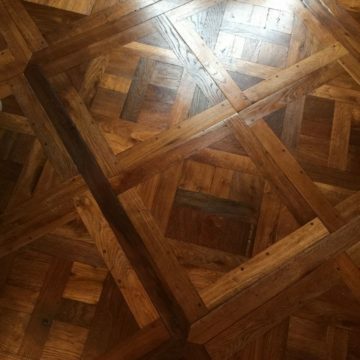 Tradition format of French oak floor panels called “”Soubise”, the robust paint finish is deliberately worn back to reveal expanses of oak, and has then been wax-oiled. 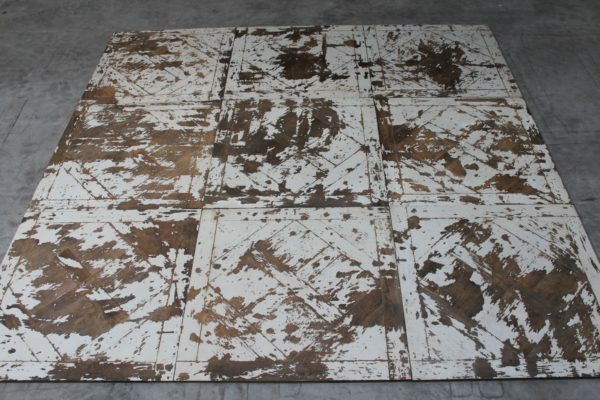 On display at BCA’s Maine et Loire premises at l’Hôtellerie de Flée (49500) Panel metric dimensions: 1000mm x 1000mm x thickness 20mm. Panel imperial dimensions: 39.33 inches x 37.33 inches x thickness 0.8 inch.